Tyvir stood silently in the dark room, staring at the sleeping form of a woman in a sparsely furnished shack on the waterfront. The impoverished environment of the surroundings is what had drawn him to her in the first place. The young Imperial woman's beauty was a sharp contrast to the sights of the Waterfront, and when he had laid eyes on her, he could not resist his instincts. He had spent the last two days charming her, slowly drawing her in to his grasp, until his ploy of seduction had worked. He had spent the night with her, and now that she slept, his lust was replaced with hunger. The predator in him was on the prowl, and the life force within her called to him like a Siren. The Dunmer approached her slowly, then gently stroked her neck as he leaned it. His eyes glowed red as he neared her, the pulse of her blood driving his senses wild. As he began to feed on her, he felt the familiar rush of power and satisfaction. He drank sparingly, he had no intention of killing the beautiful young woman, he only sought to satisfy his cravings. When he finished, he silently slipped out of the shack, pulling the hood of his armor up as he began to walk down the deserted street. Now that his fun was over, he had work to do. He made his way to the piers, carefully avoiding the patrolling guards of the city. When he reached the water, he hid himself in the shadows near the nearest ship. He took a deep breath, then reached out with his hunter's instincts - he could feel only a handful of life forces near him, and none were moving towards him. He allowed himself to crouch down in a resting position. He silently meditated on the task ahead of him, preparing his mindset as he always did when he needed to serve the will of the Night Mother. He listened to the sounds of the night as he waited patiently for his Dark Brother to meet him near the docks. The nights clod air brushed against Noas concealed face, making hius whiskers twitch. He smelled fresh blood, and he knew where it was coming from. From far over head, the scilent tiger watched as the cloaked figure of Tyvir stalked away from the waterfront home where one of the peseants lived. Easy enough was his sight in the dark due to his races natural ability to see, but unlike the Vampires, he was unable to see life forces. Whether he knew he was there or not, Noa did not care, for he was waiting for him to finish his "dinner". Over the time that Noa and Tyvir had known each other, noa had always found the practice of his partners condition to be a very messy and unclean, which annoyed Noa, but for the most part he found it to be necisary for him to survive. From the balcony of the imperial watch tower that he was sitting on, he stood and faced the direction of his comrad. In all the years that they had worked together, there was on thing Noa had never been able to do, sneak up on him. He crabbed the corners of his cloak and wrapped them around him tight. With a heave of his legs, he hurled himself outwards towards the water below. He twisted the cloak tighter around him and pointed his feet at the russhing floor of water below. With a astounding amount of silence, the cloak created a bullet like caccoon around him allowing him to hit the water with little sound. The cat distated water, but this might be his only chance to get the jump on his prey. He unravvled the cloak from around him and kicked himself towards the dock that the vampire was sitting on, making a wide turn to swim to the side where his back was turned. He grabbed the edge of the dock and let the dreanched cloak fall back into the water so that it didnt splash when he lifted himself onto the dock. he crouhced down and pined his ears back. With a flick of his wrist, and a jump towards the Dunmer, he charged him with his knife sparkeling in the moon light. Tyvir was silently contemplating the mission when he felt something. His instincts told him something was near, but he could see nothing. He felt something like a tingle, part of his hunter's skills, one of the benefits of his vampiric gifts, but even the feeling wasn't enough to pinpoint a locations. He gazed around the area, and as his eyes swept over the dock, he saw the glint of the blade. As the dark mass materialized out of the night, Tyvir barely had enough time, to roll to the side, escaping the knife point by mere seconds. When he came up into a crouch, he had drawn one of his own daggers, preparing himself for another attack. He then frowned when he realized who his attacker was. With a sigh, he sheathed his dagger, then scowled at the Khajit. "Damn you, Noa. That was close. I'd be worried that next time you would actually kill me, if It wasn't for the fact that the rancid feline stench you always give off is a dead give away." The Dunmer then smiled as he reached out to clasp Noa's arm in greeting. "Hail Sithis, brother. I'm glad the speaker allowed me to pick my partner this time. There's no one I'd rather kill with more." Tyvir then held up a finger as he reached out his senses again, making sure no one was near, before continuing. "Noa, our target is a Bosmer merchant in the Elven Gardens District. It seems he has been involved in some rather shady dealings that have led to some fear from other merchants. It seems this man, Boronus is his name, has began extorting some of the other merchants, and he is trying to force them out of the market. Seems he is using some unsavory mercenaries, though my investigation tells me these men are little more than bandits." Tyvir grinned then, patting Noa on the shoulder as he continued. "Now for the good news...the man owns a large house in the Gardens, and he currently is keeping it staffed with his own retinue of mercenaries, acting as guards. The Speaker allowed me to involve you because there seems to be at least 10 of them in there, along with Boronus himself. The fun part is, our mission is to end them all. And the Night Mother want's Boronus's death particularly brutal - and public." Tyvir's grin became malicious as he chuckled lightly. "I have a plan for that. So, are you ready brother?" Noa's sharp teeth gleemed in the light as his vampire comrade stoped him once more from his attempt to bring him down. As he listened to him talk about the mission his smile grew bigger and bigger. 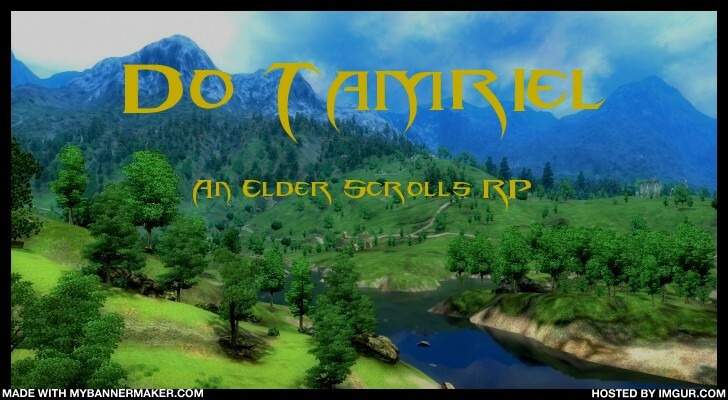 "By Sithis, ive been waiting for something like this to come along. im so bored with these stupid little missions theyve been sending me on for the last few months. I would be me than happy to do this mission with you my friend." He walked back over to the edge of the peire as he retracted his knife back into his suit. crouching down and reaching into the water, he pulled his cloak back out of the water. With a sigh he twisted it and rang it out. "Its gonna take this thing hours to dry. Oh well, so my friend, when do we set out for the Bosmers home?" Tyvir began to turn towards the bridge to the city and beckoned for Noa to follow. He knew that the lone guard patrolling the waterfront was currently near the actual waterfront, so he did not worry at being questioned for the late night walk. As Noa fell in beside him, he began to speak quietly. "We are going now. I have been casing this merchant's home for a week now, so let me fill you in on what I know. There is always one guard in the alley by the house, seems Boronus is paranoid, and this man watches the door at night. Around one in the morning, another guard relieves him. That's in an hour. If we strike then, we can dispose of both of those men quietly. Now, there are usually three men on the first floor, I have seen their life forces from outside the wall, but I do not know what they do. If we go in through the front door, we will have to quickly kill them, or they will alert the others. Now, there a two men who are always on the second floor, guarding Boronus himself. I've seen these guys, they are heavily armed, and actually seem to know how to fight, unlike the other fools he has hired." Tyvir went silent as he led Noa into the Temple District, glancing around briefly to make sure no one was within earshot. "Boronus himself is a soft old man, he will be no threat to us, I'm sure. Now, there are three more guards, but they should be off duty. The merchant has converted his basement into a sort of barracks for these guards, those three should be down there, hopefully sleeping. Here is my idea. There is a a sewer gate behind the house. If you take that, you should be able to find your way into the basement. You can get rid of the three men there, while I take care of the two changing shifts in the alley. Then, I will wait at the door for your signal." Tyvir smirked at the Khajit. "Purr loudly, if you like. Then we will both rush the room and take out the three on the main floor. Then it will simply be a matter of facing down the two guards at Boronus' door, which should be simple with the two of us. Then, I will finish Boronus the way the Speaker has willed it." Tyvir went silent as they made there way from the Temple District, through the Talos Plaza, and into the Elven District. When they were less than a block from Boronus' home, approaching from the street behind it, Tyvir led Noa into a darkened alley. "So brother, do you have any questions before we start? If not, make your way to the sewer, and I'll go to the alley." Noa smiled at the plan and with a soft growl he nodded at his compaignion "My you walk in the shadow of Sithis." He turned down the alley and turned the corner, watching for anyone who might spot him. He found the sewer entrance easy enough and slipped into the smelly dank sewer system. Noa hated this part of his life, the sewers. because the sewers was the home of the dark brotherhood sanctuary, he spent more time down in the discusting treasure trove of filth and waist that were the Imperial sewers. now that he was beign forced back into them he was irritated and began to constantly look around to make sure he was touching anything he did need to. lifting up his robes so that they did not drag on the putred floor, he scouted out the area and found the entrance to the house by using the general direction og the home outside to get to the back door entrance from the sewers. He climbed up the ladder, trying not to spill bile from his stomach as he placed his hand on a green slime that had manifested on one of the metal bars. When he reached the top he placed his hand on the lid of the sewers and lifted the lid until he could see the basement. It was dark, dark enough to blurr the vision of any normal person, but to a Khajiit, it was perfect for blending into the shadow of death. Looking around the room he found one of the gaurds sleeping under a double bed, while the two others were sitting by a candle drinking and playing dice. He was in the furthest part of the room, surrounded by crates and barrels. He lifted the lid scilently and replaced it without any trouble. With a quick motion he spun to his left and hid behind a crate. A putrid smell came from inside the wodden box and Noa did not know how much more discust he could take before giving up and going home to scald himslef in a hot bath. "By sithis" he whispered as he looked around. He founf his prey still sitting where they had been the first time he looked and smiled. He pulled out his bow and quiver from around his back and stung two glass arrows into his bow. he waited, and watched; the two men were sitting across from one another in the direction the Noa was facing. He pulled his bow back quietly and aimed for the man who had his back to him. wiating just a few more moments he released the tension on the string and let the arrows slid back down to theyre resting position. Scowling he reached into his pocket and produced a single gold coin. He readied himself for a quick shot and then threw the coin. it bounced a few times, producing a soft clink as it struck the ground and rolled to the man who was furthest away. The man looked down at his foot and bent ever so slightly to the left to pick it up. with a THWAK, Noa released the drawn arrows through the air and into his targets. Both arrows struck the men in the head, causing them to topple over and hit the floor. The sound of two bodies falling onto the floor made the thrid man shift in his sleep and then get up from the bed. He rushed over to the men and then drew his sword. He inhaled very deeply and went to open his mouth when suddenly he stoped, his eyes growing wide as a bloody steel blade protruded through his jugular. Noa rose up from behined him purring softly "OH no, we cant have you doing that, now can we." THe body cruppled to the floor in silence as Noa wiped the blade clean. He looked around and found the room empty now and smirked with delight. after he had looted the bodies of money, he walked up the stone stairs to the living room and placed a hand and an ear to the wooden surface. He could hear voices, incoherent, but they were calm. "Alright, lets get this party started." From deep in his throat, he produced a low, soft, hum that was normal only sugnificant to offspring, or courting. the sound ran throught the door and filled the house with a demonic feel. Whether his Dark Gifted Brother could hear it, was beyond his knowlage. After Noa had head for the sewers, Tyvir moved silently to the alley, until he could see the guard standing sentry. The man leaned against the wall, staring out to the street, obviously tired and awaiting his replacement. Tyvir crept slowly until he was with a few feet of the man, staying concealed in the shadows. He closed his eyes, reaching out until he could see, or more correctly feel, the presence of the second guard exit the house. As the second guard made his way to the alley, Tyvir made his move. He leaped from the shadows, glass dagger in hand, and grabbed the guard by his hair, jerking his head back as he swiftly ran the blade across the guards throat. Without pausing, he dashed down the alleyway, leaving the guard to crumple into a pool of his own blood, grasping at his neck as if trying to keep the blood in. Just as the second guard rounded the corner into the alley, Tyvir through a punch to the guard's gut, causing him to double over, the lack of air in his lungs making him unable to shout. The Dunmer took the opportunity to loop his arm around the guards neck, and he gripped his other hand as leverage. He squeezed with all his might, grunting quietly with exertion as the guard tried weakly to strain against him. Finally, the guard shoulder's slumped slightly, as if admitting defeat, and with a quick twist, Tyvir snapped his neck. He then dragged the limp form and dropped it on the corpse of the other guard, who had died from his wound. Tyvir stared longingly at the pool of blood, his hunger rising at the scent, but she closed his eyes and turned away. His focus regained, Tyvir headed quietly to the front door. He gently tested the lock, and found that the second guard had not locked it when he left. He crouched at the door, straining to listen for Noa's call. Suddenly, he heard a low hum, and sure that it was Noa, he pushed the door open slowly. He saw three men in the room, all staring in the direction of the basement, confused by the strange sound they heard. As one of them reached the basement door, Tyvir slipped into the room. He drew his second dagger, and stepped up behind the first man. He quickly thrust his dagger into the base of the mans neck, severing his spine, causing him to fall to the floor in a heap. The other two guards turned to face the Dunmer, and Tyvir began to dash at the next, hissing "Now Brother!" to signal Noa to attack. At the sound of his brothers cry for attack, Noa burst thrust the door open and mashed the man quard who was about to open it. He jard in place for a second until his face grew pale with shock. The gleeming blade of Noa's wrist blade ripped through the soft tissue of the mans torso. His body went limp and then his eyes went hazy. Noa gave the man a shove and he feel to the floor. Noa crouched down and then srang towards tghe last man in the room, he bolted at him with his dagger drawn. The man made to yell but before he could utter a singgle peep, Noa brough his had in a side ways choping motion on the mans throat. A sickening crucnh errupeted from his open throat and then all he could do was make drowning, gargleing sounds. With his other hand, Noa took his wrist blade and brough it up through the mans bottom jaw and continued into his the top of his skull. The man sat there, hanging on to the blade with closed eyes and a closed mouth. Noa grabbed him by the throat and lifted him free from the blade, tossing him onto the other twoo bodies that had met the same fate as him. Noa looked down at his blade and grimised at the dight of his hands and equipemnt stained with the crimson paint of the human body. "Alirght we're in, lets go get the Bosmer and get the hell outta here, I need a bath." The Dunmer grinned at his cat-like comrade, rolling his eyes slightly at Noa's words. He crouched over one of the three dead guards, wiping his blades off on the clothing, before standing up again to face Noa. "Well brother, that went well. The guys upstairs though, they are not going to make this quite as easy." Tyvir closed his eyes and reached out with his mind, probing for the life forces of the guards. He detected the three upstairs, then began to frown. His eyes shot open, and he leapt forward, grabbing the Khajit by the shoulders and pulling him to the side just as an arrow whistled by and struck the wall. Tyvir's gaze trail to the origin of the shot, a new guard standing at the basement door. He could see that the man was followed by two others. Tyvir growled to Noa as he sheathed his daggers and drew his gleaming silver longsword. "Five I sense! It is a trap, they knew we were coming!" Tyvir then noticed that the two guards from upstairs now stood at the top of the stairwell, slowly making there way down to face the surrounded assassins. Tyvir wasted no more time, rolling forward just as another arrow struck where he had been standing. He rolled to his feet, then reached the bowman just as he began to draw his short sword. He swung his sword down, aiming for the mans hand. As the blade cut a deep gash, the bowman fell to the side with a screech. The Dunmer then threw himself through the basement door, crashing into the two men on the steps, sending all three tangled and rolling down the steps. As Tyvir grunted from pain on his fall down the steps, he silently prayed to Sithis, hoping that Noa would be able to handle the two men on the upper stairs. Noa watched as his brother took the low road and the three gaurds with him. Noa turned his attention to the stairs as the other gards made theyre way down the stairs, bows drawn and pointed at him. Noa lowered his head and raised both arms. The two gaurds made their way down the stairs watching with a steedy gaze. When they reached the bottom of the stairs Noa made his move. In a flash of furr and wood, Noa made a quick jolt towards the cieling, the now air born arrows missing him by inches. His claws now extended from his paws, Noa grasped the beam of wood holding the cieling up and looked down at the men. With a mighty roar, Noa reared his legs back and swing them forward, twisting into a flip in mid air. With a crash like a magicians rouge fire ball spell, The two men crumbled to the ground and ceased to move. Noa stood from the courpes broken neck and checked for blood. The door to the city streets, burst open revieling several imerial gards. Noa crouched down and hissed at the gards, his teeth bear for them to see. The head guard puched his way to the front. A smaller, slightly portly man, he looked down at Noa with a smile. "Alright assassin, its time to give it up. Your target is not here and your all alone. Give up now, and your exicution will be more swift." Noa's snear soon turned to a smile and then to a laugh. With a hiss he announced "You think i am alone? I walk in the shadows of my lord Sithis, there for i am never alone." With another snear, Noa raised his hand and a ball of purple errupted from it. His image flickerd and then faded to nothing, leaving the soldiers alone. Each of the 5 guards un sheathed his sword and paced the floor looking for the cat. Twoheaded to the basement stairs, while the other two walked over to the table in the middle of the room. The portly man walked to the stairs and checked the two dead guards. "Lock the doors, no one leaves until hes found." As the portly man turned around his face contorted with horror, as he watched as the two of his men by the table spewed blood from their necks and covered the blade of two invisile blade. "GET HIM!!!!" he yelled with every fiber of strength. Tyvir landed hard on the basement, rolling further to untangle himself from the two men who fell with him. The dark elf saw the two men slowly attempting to gain their feet after the disorienting fall. Realizing that he had dropped his sword on the stairs, Tyvir grabbed the nearest man by the shoulder, dragging him across the floor into a position near him. With a snarl, he sank his fangs in the neck of the man, tearing open his veins and feeding drunkenly from the wound. Suddenly he was jerked to his feet, the second man's hold him in a choke hold, attempting to incapacitate the vampire. Tyvir, however, felt renewed from the blood, and with a swift, effortless maneuver, flipped the warrior over his shoulder, grasping him around the neck the same as the soldier had held him moments before. Tyvir whispered into his ear, "You interrupted my meal. Very, very rude." With that, he snapped the man's neck, smiling slightly at the satisfying crunch of bone. Tyvir approached the stairs, just as two imperial soldiers entered the doorway, their arrows knocked and trained on the dunmer. "Stop where you are, assassin." Tyvir grinned at them, staring into each of their eyes in turn, his blood red gaze seeming to dig into their souls. He pressed his will on them, charming them in the way only vampires can do. "Gentlemen, can't you see the truth before you?" He motioned to the corpses he had left on the floor. "These men were the assassins. I have stopped them. Alas, it seems they had men helping them. Men in your detail, traitors to the crown. Are you men loyal to your emperor?" The Imperials nodded, a slight glaze in their eyes notifying Tyvir that his charm was working. "Then, my loyal soldiers, punish those traitors. Leave none alive." With that, Tyvir watched the two Imperial guards rush back out of the basement, intent on murdering the other Imperial guards. He quickly followed them, grabbing up his longsword in the process. He entered the main floor just in time to see the two charmed guards fill the lead Imperial with arrows. He grinned at Noa's reaction of surprise before gently placing a hand on the shoulder of each of the two guards. "You have done well. Go back to your barracks men, and await further orders." He then grinned at Noa as the two men left the building. "Come my feline friend, our target awaits." Tyvir dashed up the stairs, quickly kicking the door, grinning at the cowering merchant Boronus. With no words, he punched the man in the jaw, sending him reeling to the floor. He quickly slipped a spool of rope from his cloak, then tied it around the merchants ankle. He then kicked the door open to the balcony, tying the other end of the rope to the rail. He winked at Noa. "Get ready for this." He then brought the sniveling merchant to his feet, slapping him to rouse him from the daze of the punch. He grinned in the man's face, baring his fangs. "Give my regards to Sithis, mortal." With that, he shoved the man over the railing, watching as the screaming man came to a stop ten feet from the road. He then grabbed a jar of lantern oil from in the room, then poured it down the rope and onto the merchant. Grabbing a torch from a sconce on the balcony, he waited just long enough for many people to come onto the street, roused from sleep by the screaming man. He then touched the flame to rope, watching as the flame ran its path to engulf Boronus. The burning man's shrieks filled the air, as the gathering crowds shouts mingled into the noise. He stared for a moment at the sight before grinning at the Khajit. "Public enough you think? We should probably go." Tyvir watched Noa latch on to the wall of the balcony, then climb his way to the roof. He quickly dashed back down the stairs, down to the basement, and into the sewers. He ran quickly; he new every turn, every door, every tunnel like it was his own home. During his time as a member of the Brotherhood, Tyvir had made use of the sewers on many occasions. Even as a young, inexperienced vampire, it has been his choice place to hide from the sun. Tyvir found the ladder he was looking for. He climbed it, the carefully opened the grate, the moonlight pouring in to the tunnel. He pulled himself out, carefully closed the grate, then took a look around. He stood in a garden, concealed on all sides by buildings, a secluded area in the market district. He pulled his cloak tight around him, to conceal his armor and weapons, then ducked down a dark alley that lead to the street. Once their, he continued to walk until he caught site of one of his safehouses. It was a two story stone building, near the market square, owned by and elderly Imperial who had once been an Arena fighter. Tyvir would often stop in to socialize with the man, regaling old arena stories, and in return, the man allowed Tyvir to use his basement as an apartment, for a small fee of course. Tyvir owned his own house in the Elven Gardens, but it was in this apartment that he kept most of his gear. Tyvir passed the house, then circled around to be sure he wasn't followed, before entering the back door. He headed to the basement. His apartment was sparsely furnished, with nothing more than a bed, a table, a wardrobe, and two chairs, but one full side of the room was bookshelves. Tyvir headed over to the the bookshelf furthest to the right, then reached for a large black volume that read "Immortal Blood". When he tilted it, a barely audible click sounded. He then walked to the bookshelf furthest to the left, and reached into the center of it. He pulled a hidden release, and the bookshelf swung open, revealing a mannequin surrounded by wooden indentions in the wall for each of his weapons. He quickly removed everything. He turned and headed to the wardrobe, where he removed some dark but expensive clothing, and put them on. He then grabbed his silver dagger, placed it in an ornate sheath, and strapped it to his belt. He then closed the bookshelf, smiling when he heard the lock click, and then headed out of his safehouse. He then walked down the street, making his way to the Gardens, ready to meet up with his younger brother in the safety of their mansion. Hawker had just got into the Elven Gardens district of the Imperial City, walking past The Golden Flower. "Hmm, sounds like a good time in there tonight." he muttered under his breath, wishing he could join in. He knew who he had to seek out, an assassin in the Dark Brotherhood, a skilled fighter. Tyvir Ashoss was a brilliant fighter, a dunmer who was smart and knew how to stay hidden. The perfect companion for this quest. Money was no issue for Hawker, it was getting Tyvir to agree to fight with him. A complete stranger who knew nothing about him, but Hawker knew about Tyvir. He knew he was a vampire, but an honorable one who did not kill for the sheer pleasure. Killing for necessity, but enjoying what you do. He was a lot like Hawker in that way, Hawker loved his malachite halberd, and loved to use it. Hawker approached Tyvir's estate, he knew that Tyvir would not go in if he was standing out front. So Hawker had to be as stealthy as Tyvir. Hawker hid out of sight near Tyvir's estate as the dunmer approached. The closer Tyvir got, the more anxious Hawker felt. Hawker emerged from the shadows near Tyvir's estate, his armor gleaming in the full moon now. "Tyvir Ashoss, the vampire assassin. You may call me Hawker, i am in need of your special skill set. If you would allow me to continue, i would be most gracious." As Tyvir was approaching his mansion, he froze when he saw the glint of armor in the sparse light. He reacted on instinct, and before the man could get his full sentence out, Tyvir already had a plan of attack. He flung himself forward, covering the distance between himself and the redguard in three bounds. He saw the man reaching for a weapon, but he struck with such force, both of them went to the ground. They struggled briefly, and Tyvir disconnected himself and rolled away, coming quickly to his feet, silver dagger in hand. He began to circle the ambusher, searching for an opening to strike. Before the man could speak, he charged in again, attempting to use his agility against his heavily armored opponent. He charged in and slashed towards the mans face, but it was a faint, and he brought his right leg around, aiming a kick for the back of the redguard's knee. Hawker laughed "PERFECT!" to himself as he brought himself to his feet from Tyvir's attack. He dodged the knife noticing it was just a cover for his kick. Hawker quickly lifted himself above Tyvir with a leap. When he landed, Hawker ran up the side of Tyvir's estate, lunging himself barely over Tyvir. Hawker holding his hands up, one covering his face and the other ready to strike, was circling with Tyvir. Hawker lunged a fist straight towards Tyvir, an easily dodged attack or parried. He was testing Tyvir, seeing how he was in combat. Tyvir had watched in surprise and the man bounded off of the wall, but quickly recovered. As he slapped the man's punch away, he began to scowl in anger. He's toying with me, he thought to himself. Tyvir flipped his dagger around, so the blade was pointing towards the ground. He then launched forward again, this time with a flurry of punches. As each punch flew, he pulled just a little, watching as the redguard quickly blocked each strike. Finally, he moved into his true attack, quickly stepping past the man to throw him off balance, while pressing the hilt of his dagger against the back of the mans neck to press him off balance. He spun quickly, using the blade just enough to draw blood on the man's neck. He took a step back and watched the warrior recover from his stumble. As he began to circle again, dagger at the ready, he growled, "Who are you? What do you want?" Hawker stumbled as he felt blood draw from his neck, "I am Hawker, a hunter from Hammerfell. I am not here to kill you." Hawker pulled out his halberd in a quick spin of a motion, pointing the blade to the ground and the middle of the staff on his back. "However, I do wish to continue this, but i do not wish harm upon you." Hawker sprinted forward at Tyvir, gripping his halberd firmly. Hawker threw quick slashes and lunges at Tyvir, nothing he couldn't dodge. "Alright, lets turn it up some shall we?" Hawker said with a smile as a his furry of attacks increased. Hawker stepped back and slashed down towards Tyvir. Tyvir quickly dodged but Hawker placed the edge firmly on the ground and used it for leverage to deliver a powerful kick to Tyvir's torso. Tyvir was confused by Hawker's response, but before he could inquire further, the man launched his own attack. Tyvir easily danced around the halberd, focusing, but as the downward slash came, he didn't see the kick coming. He jumped back just enough to keep the kick from sending him sprawling to the ground, but the connection threw off his balance none the less. As he stumbled, he imagined the damage the halberd would do to him, and in desperation he flung his knife towards his attacker. Not sure if his throw would be accurate enough, he threw himself at Hawker, grasping for the halberd. Hawker shifted to the right just enough for the dagger to glance off his armor as he grasped his halberd with both hands, holding it horizontally as Tyvir grabbed on to it. Hawker flung the both of them to the ground with a roar. Landing on top of Tyvir with the halberd pressed against his chest, Hawker stared into his eyes with a growl. "I know you're a vampire, why are you holding back? I want to see what you can do." Hawker stood up and let Tyvir get up as well. Hawker took his stance holding his halberd with both hands, feet more than shoulder length apart. "COME ON!" Hawker screamed as he pointed his halberd up, ready for an attack. Tyvir stood in front of the redguard, his anger growing, agitated that the man knew so much about him. Abruptly, he smirked at Hawker. "Testing a vampire is what you seek? So be it." Tyvir's eyes darkened, from a pale red to a deeper hue, and he opened his mouth, baring his fangs. He charged the enemy, snarling as he did so, but at the last second he vanished. His illusion spell in place, he knew its duration was short, so he quickly ran behind Hawker and jumped, landing a powerful dropkick to the redguard's back. As the man tumbled forward, his spell faded, leaving him visible again. He pushed himself as far as his vampiric nature would allow him, quickly stepping around the man and throwing and upper cut. As his fist connected with Hawker's chin, he dove onto the redguard, slamming him to the ground in much the same way as Hawker had done to him. He pressed all of his strength into holding the man down, baring his fangs inches from Hawker's face. "Satisfied? Or is this dark gift what you seek?" He glanced down to the man's neck, then back up to his face, grinning. Hawker laid there while Tyvir held his chest, with strength almost double his. Hawker smiled, "No, i do not seek to obtain it. I simply seek for your assistance in a very personal matter of mine. I'm sure you're very curious as to how i know about you. I will answer any questions you have Tyvir." Hawker released the grip of his halberd, "I know when i have been bested in a battle, though it is not often, i will admit to defeat. I simply implore to appeal to your adventurous side my good man." Hawker grabbed his chest, "Just, please release me. You have the strength of two grown Nords." Tyvir stared at the redguard, mulling over his words. As he contemplated, he came to a conclusion. He did not trust the man, because he could tell he was holding back his words and his skills. He did not trust anyone who knew more about him then he knew about them. And most importantly, he didn't trust anyone who did not show fear when faced with a vampire. Finally, he released the man, stood, and took a few steps back, watching Hawker coldly as he came to his feet. Tyvir's eyes lightened once again, his fangs becoming unnoticeable. He quickly glanced around the street, making sure there were no witnesses. "Listen Redguard, we will speak...but if you give me any reason to suspect you are lying, or that you intend danger to me, I will kill you. Now, follow me." Tyvir grabbed his dagger from the ground, slipping it back into his sheath. He then opened the front door of the mansion into a foyer, heavily decorated with art and arms of all types. He turned right into a room filled with food and beverages on all sides, and took a seat at the front of a long dining table. He gestured for the man to sit near him, and then he reached out for an apple. He drew his dagger, cut a slice from the apple, then slammed his dagger down into the table. He glared at the redguard as he took a bite. Hawker pulled out a chair near Tyvir and set his halberd on the ground. He looked at Tyvir, "As i said before, my name is Hawker. I am from the city of Rihad in the southern part of Hammerfell. I have traveled a lot, grew up on the road." Hawker noticed Tyvir's face grew with impatience. "Okay don't worry, I'm just giving you a little background of myself. Over my travels i have come across a lot of different types of people and made many connections. I've even made friends in places some people would not approve of, namely the Dark Brotherhood. I'm not a man to reveal my sources but you are commonly known throughout the Dark Brotherhood branches in Cyrodiil. You're skill and enjoyment for killing are one to be desired for people. I like your attitude too, i could tell even though you had no idea if i was a threat or not, you didn't want to kill me." Hawker put his elbows on the table, propping up his head. "So what is your motivation for killing if you don't mind me asking." Tyvir stared at the Redguard, then set the apple down. He contemplated his question for a moment. "Motivation? You apparently know already. Money. Power. I kill because I am good at killing. I kill because I enjoy the moment when a man looks into my eyes and sees judgment. I kill for Sithis, and the Night Mother." The dunmer then grabbed the knife and the apple from the table, cutting himself another slice. Before he took a bite, he spoke again. "I do not know what answer you are hoping for, but this is the truth. I am a killer. It's just who I am." He smirked then, and pointed the blade in his hand toward the Redguard. "Now, traveler who knows too much, why are you here? Why do you seek me? And who in the Brotherhood betrayed my name and whereabouts to you, so that I might.." He grinned a little, showing his fangs, "Chastise them.". Tyvir leaned back in his chair, eyes still on the Redguard, though he briefly reached out with his senses, still unsure if this was a trap. Hawker smirked "I knew you killed for a reason. You have motivation, not just another mindless tool." Hawker relaxed his arms and leaned back as well, crossing one leg. "If it will ease you up and gain some trust between us, i will let you know her name. You might already know her though, she lives in Skingrad. I met her through something i did for the thieves guild. I helped them out, however i am no thief." Hawker stood up from the table, "Now, to address why i sought you out in the first place." Hawker put down his head, "You might have noticed my eyes, how they are pale and have a yellow tint. Well, this is something i have been living with most of my life without really knowing why. However, one day, a member of the thieves guild approached me with some information about who i am. See, i was left at a chapel's doorstep when i was an infant, and then raised by a nord on the road. I have no idea where i hail from, i just know that my family name is Hawker. I hired some help from the thieves guild, an information broker. It took weeks but he finally found something on my family name." Hawker looked back to Tyvir and walked towards him. "I have the blood of a God. To be more specific, the blood of Zenithar. He was in Morrowind in the late third era, going by the name of Jon Hawker. So this is where you come in, i need help to travel to the shrine of the nine and figure all of this out. I don't know what to expect at the shrine, which is why i am requesting assistance from someone as powerful as you."